Back to back to back to back to back. Releases will continue to flow for the remainder of the business week through to May 5th, with limited drops of yet to be disclosed pairs. It appears the releases each morning will be a surprise. Surely you can’t run an even like this without a retro of the White Cement, right? – Here’s hoping. But before you get too excited, this – at this stage – is an exclusive to Nike SNKRS Europe. But knowing Jordan Brand, there’s a good chance these will drop stateside, too. 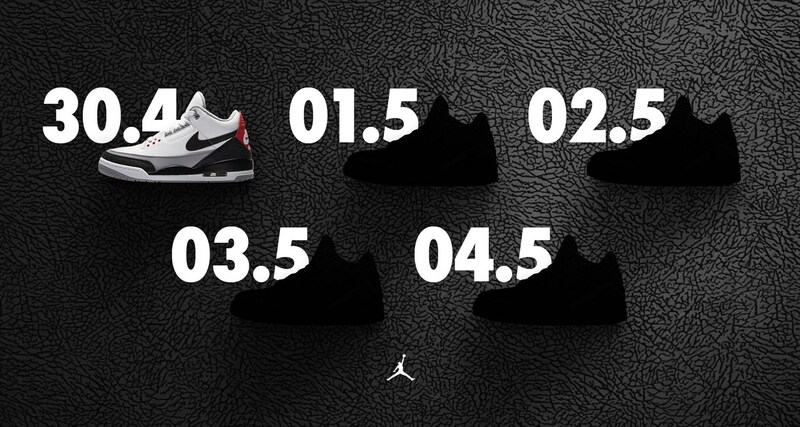 Stay tuned for more info on each day’s release, as well as any info on a Stateside release.